Pixel Gun 3D is an innovative game which incorporates elements from multiple gaming genres. So if you’re looking to download a title which promises fresh gameplay, continue reading to discover everything you need to know about playing Pixel Gun. 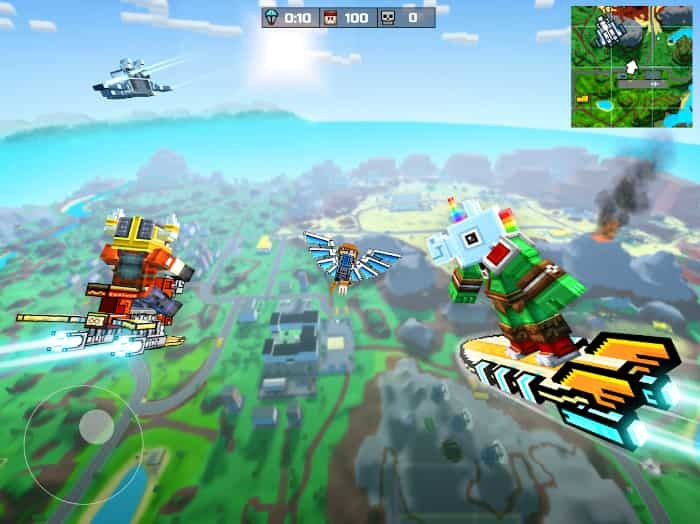 Pixel Gun 3D Battle Royale offers Minecraft inspired graphics and is both a survival title and a shooter. So if you’re a bit of a sharpshooter and can spend hours playing battle royale style games, you’ll love playing Pixel Gun 3D. How does Pixel Gun 3D differ from its competition? If you’ve been playing battle royale style games for several months, you may be wondering what sets Pixel Gun 3D Survival Shooter apart from its competition. The simple answer is that while in most battle royale titles, you’ll be forced to hunt down your enemies, in Pixel Gun 3D you’ll also be able to build a fort, which you’ll be able to use as your base to fight from. 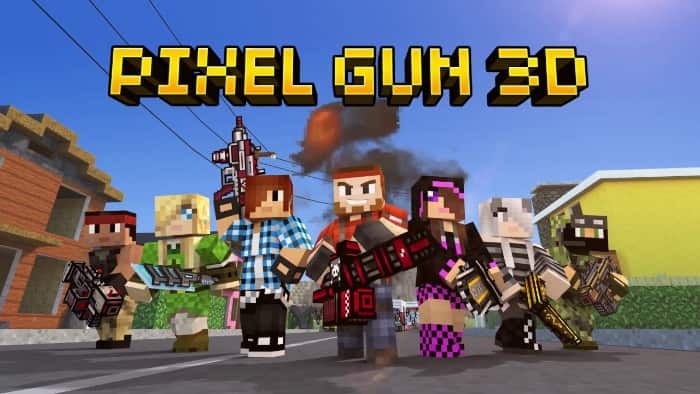 If you don’t want to sport the same skin as an opponent, you’re in luck as Pixel Gun 3D allows gamers to create their very own, one of a kind skin. 2. Multiple different modes to explore. While most survival games only boast a battle royale mode, Pixel Gun offers a four-player co-op mode, a survival campaign, and a multiplayer mode as well as a traditional battle royale mode. It’s well worth playing Pixel Gun’s survival mode as you’ll get to face hordes of zombies, which will come at you from every direction and which will provide you with a monumental challenge! 3. Worldwide battles and local battles. Not only will you be able to compete in worldwide battles where you’ll be able to shoot down opponents from dozens of different countries in a single battle but you’ll also be able to play local battles. Where you’ll be able to compete to become the best Pixel Gun 3D player in your region. When you’re playing Pixel Gun’s multiplayer mode you’ll be able to chat with your opponents during your battles. A handy feature if you enjoy taunting your opponents or making new friends when you play online multiplayer titles. 5. A wide catalog of weapons. Some of the different weapons, which you may come across during your first battle include magic bows, M16 rifles, and lightsabers. The latter of which you’ll love if you’re a die-hard Star Wars geek. Although you’ll also be able to butcher your enemies with a simpler weapon such as a knife. 6. Extreme challenges such as narrow lanes. If you’re looking for a challenge, it’s well worth playing campaign mode as it features narrow passages and lanes which are potential death traps, which you’ll be forced to navigate. If you manage to beat your high score, you’ll get to share your new high score with your friends and family members through social media. So if you love to gloat about your wins, you’ll love this particular feature. 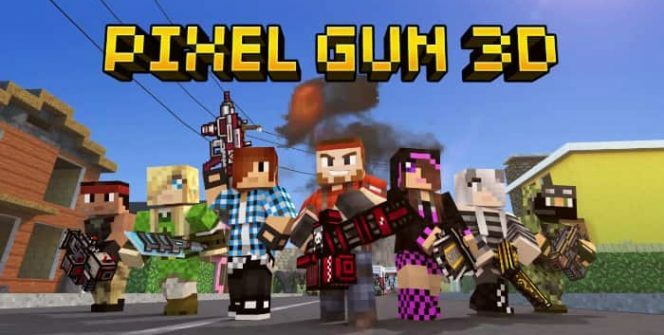 So if you love Minecraft style graphics with elements of battle royale and survival shooters, you can’t go wrong with Pixel Gun 3D. Sometimes when playing Pixel Gun 3D, bluestacks ask you fee to pay but gives you option to download some apps. Every time it asks you just select “Install apps” and continue using it free. I hope you enjoyed this article, please rate and share. If you have problems running Pixel Gun 3D on your desktop or any other issues, leave a comment below.